Honey is one of the most delicious substances and it also has an eternal shelf life. It dates back to more than 150 million years. It is naturally acidic and low in moisture. It is 80% sugar and 20% water. The two primary components are glucose and fructose. Initially, it was used as a culinary sweetener but now it is also used as a healing ingredient in medicinal treatment. It can also help to cure different type of allergies. It was also used as a form of payment by Egyptians and fed to sacred animals as a tribute. 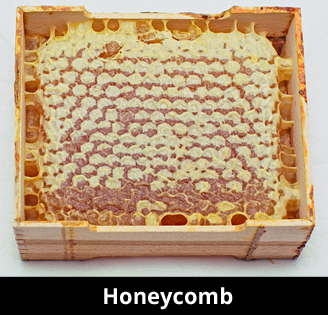 It is made from nectar and a bee enzyme that has been gone through fermentation and stored in honey combs. It is the only food which is made by insects but eaten by both insects and humans. The word honey has been derived from Hebrew and it means enchant. The month of September is the National Honey Month. Some cultures have the belief that it is ambrosia of the gods. Natural honey also contains flower pollen grains. If handled carefully then it has no expiration date but sometimes it can react to cold temperature by crystallizing. It has various antiseptic qualities as well. This is the reason why it is also used in cosmetic products. It is the only food source that contains almost everything that we require to live like antioxidants, vitamins, and minerals, even water. Honey was found in King Tut’s tomb and it was still edible. It has different flavors and colors as well. The flavor depends on what flowers the bees gathered the nectar from. Declan, Tobin. " Fun Facts about Honey for Kids ." Easy Science for Kids, Apr 2019. Web. 23 Apr 2019. < https://easyscienceforkids.com/honey-facts/ >.